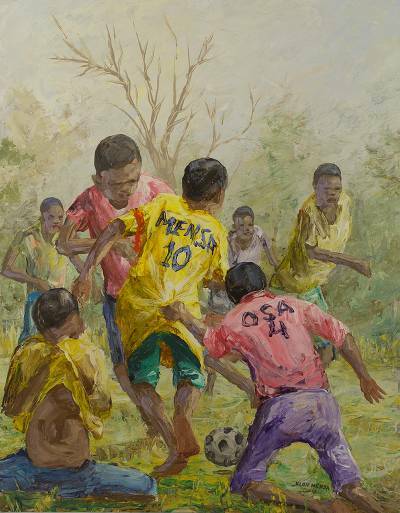 Ghanaian Original Painting of Children Playing Soccer, "Key Player I"
Barefoot boys race across a grassy lawn, chasing an elusive ball. Alfred Cran-Mensah depicts an impromptu soccer match in small town Ghana. The artist conjures their laughter and excitement, creating a sense of complicity in vivid sunny colors.